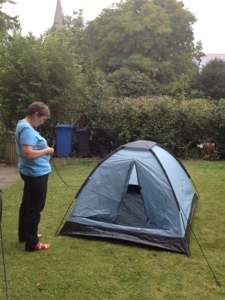 Tent no 1 was looked at, bought and taken back within the hour, wrong tent in right package. 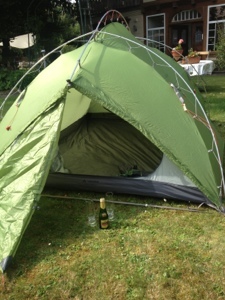 Tent No 2 was found" im Sperrmuell", okay, we must not complain about that one...but the water column was not sufficient. 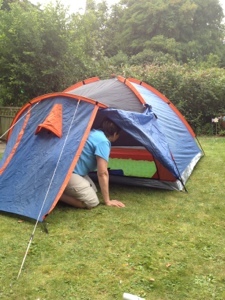 Tent No 3 will withstand the requirements of Attu and its "worst weather on earth". Also mir gefällt das letzte grüne Zelt am besten. Da scheint auch eine Küche drin zu sein (Sekt und Gläser) ;o). Vielen Dank fuer den Tip. Uebersetzung ist jetzt verfügbar. Hoffe es ist gut genug!